TETRA radios from Airbus are the easiest to use. 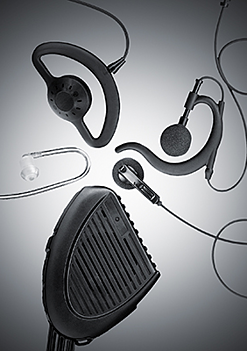 They are designed for you for voice and data communication. They work in any standard TETRA digital radio system. Designed for mission-critical users. Police, firefighters, crisis management, and security personnel usually prefer the larger, more traditional design of the TH9 handheld. Guards, transportation services and ground handling crews at airports are other typical users of the TH9 TETRA radio. TH1n slimline TETRA radio fits in your pocket. It is the favourite for healthcare and social service workers, but police officers also welcome a smaller radio. The TH1n is an excellent radio for airport staff at check-in, at the departure gates, or at the office. In fact, most users working indoors prefer the light-weight, pocket-size TH1n. The THR880i plus handheld has a unique, 2-sided design that no other radio can offer. The phone side has the colour display and number keys. The radio side is for more traditional PMR use with a rotary selector. 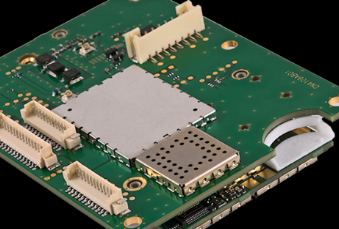 The THR9i is a robust handheld for 800 MHz networks. It is built tough for field use. Its IP65 protection class means that it resists water and dust. THR9 Ex is an ATEX radio for hazardous environments. Are you looking for a TETRA radio that is safe to use when working on airport fuelling, on oil plants, gas pipelines, or on refineries? The THR9 Ex is safe to use in explosion-prone areas where sparks or overheating could endanger the user's live. These professionals deserve the Ex-tremely safe TETRA THR9 Ex radio. THR9 Ex - intrinsically safe TETRA radio promotes safety without compromising on function and ease of use. The P8GR is much more than a beeper! Instead, it is a two-way pager and it can solve your paging problem. The P8GR pager is perfect for volunteer and on-duty firefighters, rescue and relief forces, as well as hospital and maintenance staff. When additional resources need alerting, the P8GR is the right tool for the job. See the P8GR pager in action! Part-time, volunteer firefighters can carry the P8GR active TETRA pager wherever they go. They can be reached whenever needed. And perhaps most importantly, the dispatcher will know exactly who got the page, who are going to come in and who aren't available. Doctors rest when they have a chance. But when they are needed, the message must get through to them. Unit Alert will wake up the radio from its silent profile when the doctor should wake up too. With only a single click the Emergency Center operator can send a Unit Alert to the whole trauma team. The TW1m TETRA modem is for voice and data. It is designed for solutions that require extreme security and low energy consumption. TW1m is optimal for narrowband IoT solutions. 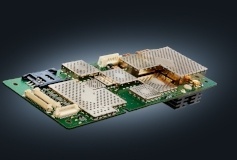 The TDM880i data module gives power for your data communications. Use it to track a fleet of buses or other vehicles, for example. Tactilon Dabat is the world’s first smartphone and full TETRA radio in one device. It is a dual-mode device with Android features and special ergonomics for radio use. It is a smart, strong and secure device for public safety. The professional apps from the apps ecosystem are a huge step for public safety users. What happened to the man on the street? Both the TETRA radio and the smartphone in Tactilon Dabat will support officers in their duties. Watch this video to see how this ground-breaking invention can change - and save - lives. See on this video how teams can use Tactilon Dabat to communicate effectively. They can see and share the real-time locations of the team on a screen map. They can take snapshots and share their view from the scene. Watch the video: Tactilon Agnet is a new solution that enables efficient, secure and reliable group communications for both mission and business critical users. With only a touch of a button on your smartphone you can talk, send multimedia messages or even live video to your group. 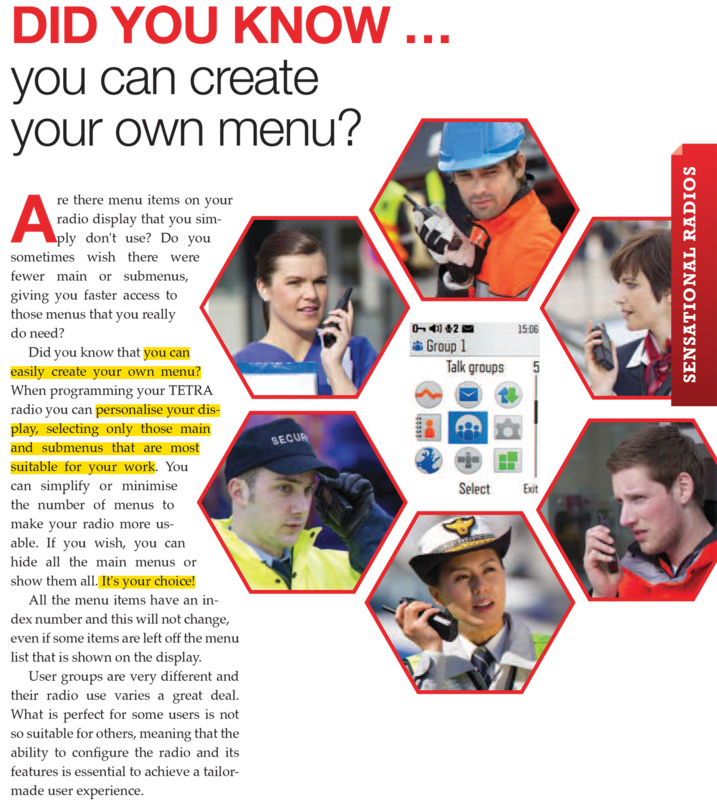 There is a range of TETRA radio accessories and versatile carrying solutions. Take a look at the accessory catalogue and tailor your radio. A well-equipped radio is a pleasure to use. What are three secrets about TETRA radios that virtually no-one knows about? Ewa Włodarczyk from Airbus reveals three secrets about TETRA radios. She also reveals one brilliant way to use a special TETRA radio accessory. 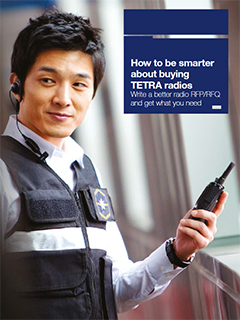 If you are looking at how to buy TETRA radios for your organization or for your network, this document is a good place to start. With Taqto your radio can be a tailor-made unit specially for your needs. The Airbus radios can be programmed and tailored so that it fits the user’s needs exactly. For example, it is possible to configure the keys and the menu to fit the daily tasks. Read an Key Touch article - Create your own menu. Thanks to the unique Java™ support, it is possible to add custom-fit applications. What does an emergency medical doctor think of TETRA radios? Doctor Juhani Tavasti works is a flying doctor in a Finnish hospital. He uses his TETRA radio in every mission. He reveals the most important technical device that he uses. Communication over TETRA has helped save lives around the world, but still people have wrong ideas about it. Real-life experiences in hospitals have busted common myths about TETRA radio communication in medical care. Helsinki Metro Operation Control Center started to use TETRA Virve communications and they've got a significant improvement in processes. An operator from control center tells about of achieved results and future plans on how to deploy TETRA communications in metro operations.